Expertise: Urology, Oncological Urology Surgery. 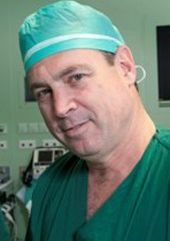 Professor Baniel considered one of the first and most experienced specialists of Israel master robot Da Vinci surgery onco-urology (prostate surgery), reconstructive surgery. Sackler School of Medicine, Tel Aviv. Finished internship at Beilinson Hospital and served in the IDF as a medical doctor, participated in Medical Research. He completed his military service in 1985, passed specialization in urology at Beilinson Hospital, where he spent a year and a half interning at Witwatersrand University, Johannesburg, which was one of the most sought after places in the world for his extensive exposure to surgery and trauma. Advanced uro-oncologic surgery for urinary cancer, treatment of testicular cancer and urinary tract reconstruction. Urology Department, University of the Witwatersrand, Johannesburg, South Africa. Urology Oncology, University Aindina, USA. Professor. Department of Surgery, Tel Aviv University. In 2001 he was appointed a clinical associate professor of urology at Tel Aviv University. Until now, professor has been involved in the publication of more than 100 articles in the medical literature, including the world’s leading newspapers and chapters in Urology books. Professor Baniel is a reviewer in most of the major newspapers in the world. He is a partner in several basic science studies at Tel Aviv University and the Weizmann Institute of Science. Member of research associations and international committees for clinical research in urology and oncology. • Radical prostatectomy preserving neural nerves. • Radical prostatectomy with robotic surgery (Da Vinci). • Radically resection of the bladder and reconstruction after previous surgery or congenital malformations in adults. • Excision of lymph nodes for testicular cancer. • Reconstruction of the urinary tract. • HIFU – high intensity focused ultrasound cancer treatment. • Excision of complex tumors in the kidney. • Benign prostate surgery with open access. • Benign prostate surgery with a closed approach. 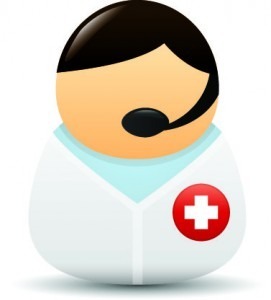 • Special expertise in the treatment of testicular cancer, including lymph nodes dissection in the stomach and pelvis while preserving the ejaculatory nerves. A large number of clinical and basic research in cancer of the urinary tract.